Streaming can mean different things to different people. For some it is the ability to send audio to networked multiroom speakers, such as those pioneered by Sonos. For others it is the streaming of music from the Internet a la Spotify, Tidal or their competitors. Or it can mean streaming audio from computers remotely to a hi-fi via Bluetooth or over wi-fi. It could involve the type of streaming audio players offered by the big audio equipment manufacturers or even talking to an Amazon or Google device to call up tracks from the Internet or even your own collection of ripped CDs. I’ve been trying a couple of these options recently and will use this space to demystify some of the alternatives and suggest ways of benefitting from these networking technologies with minimal outlay. First a bit of background. I have a collection of CDs that I spent weeks ripping to a portable hard drive so that I could use it with a laptop connected to my stereo system. That enabled me to benefit from the convenience of computer control and management of my music library still maintaining sound quality. The chain went from a laptop via a King Rex USB to Coaxial converter and then onward to the DAC input of my Marantz SA-KI Lite SACD player. The sound is very good, very close to CDs played directly in the player and with the advantage of convenience and with higher resolution capability. But this system came with two problems. To control music on the laptop meant having it on the opposite side of the room, requiring a long USB cable draped across the floor. And the laptop itself was not silent. Not noisy but certainly audible in quiet passages. So, I tried a couple of alternatives. Initially, I connected the video output from the laptop to the TV so that I could see it across the room and control the laptop with a wireless remote keyboard. This was a practical solution to the problem of long wires but meant having the TV turned on when listening to music. This was unsatisfactory as the TV was then making a faint hum, as well as the intermittent fan noise from the laptop. So, I then tried controlling the music player software (usually Foobar2000) on the laptop using remote control software from an iPad. The “MonkeyMote” app can be used to control either Foobar2000 or Monkeys Audio as long as the iPad and Laptop were on the same wi-fi network. This was slightly tricky to set up but worked OK most of the time. It meant at least that I could turn the TV off. This was a slight improvement on the other methods but had other drawbacks: sometimes the software player and remote would fail to connect properly and it was impossible to play Spotify or other Internet streaming services to my stereo without a screen. As an interim solution to the Spotify issue I bought a Belkin Bluetooth streamer (P-G3A2000) and so could stream Spotify from an iPad. I chose the Belkin because it has digital outputs which allowed me to connect it via my Marantz DAC. The receiver worked OK but sound quality was held back by the compression involved in the Bluetooth technology and, in particular, I suspect, by lack of AptX support on the Belkin. 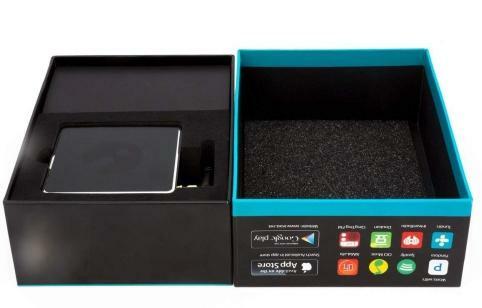 AptX is a protocol which allows music to be streamed over Bluetooth with less compression. Either way, although the Belkin offered an improvement in convenience it was not an audiophile solution. At this stage I was ready either to give up on computer music and streaming altogether or to go out and spend several hundred pounds on a commercial Network Audio player. Most of these however, such as those available from Arcam, Cambridge Audio etc still have significant drawbacks from my perspective. Some contain hard drives and all contain a DAC, both of which I have already and have no wish to duplicate. They also usually have small screens which would not be visible across the room from my listening position. In fairness, depending on the capabilty of the individual device, they can usually be controlled from an iPad app which gets over the screen size issue, but not the financial one. But since I don’t give up easily, I was determined to find a cheap system which would enable me to stream high resolution music from a computer in another room or from the Internet to the DAC in my main stereo and, ideally, to a secondary system in another room all controlled by a single app on either an iPad or an Android mobile. It took quite a bit of research and trial and error to achieve this and I thought it worth sharing my journey to achieving this. A short search on the Internet led me to the “Neet I-East Soundstream Wi-fi Music Receiver”. 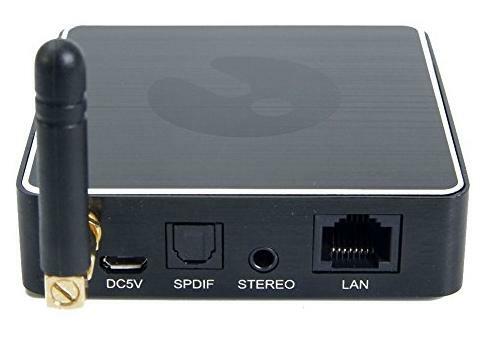 This is a small device that connects to the stereo (by optical S/PDIF or phono connectors) and to a WiFi network, then is able to stream music from source devices (computer or iPad for example) connected to the same network. This device had benefit of being economical at around £50 and looked like it would solve all of my problems! But the consumer reviews I found were quite mixed with some people unable to make it work at all, others unable to keep it connected consistently, while others loved it. Something about the reviews made me think the problems may have been with poor instructions or a lack of understanding of computer networking in general. So I started the next stage of the journey. The I-East device itself is a neat little unit. It is small but solid, all metal, around five centimetres square and two deep, with a small plastic aerial that screws in. It has phono and optical SPDIF outputs and an Ethernet socket (for direct connection to a router as an alternative to using Wi-Fi). The phono outputs are served by an ESS Sabre DAC which it says “supports” streaming files up to 192kHz. It cost around £50. Set up is quite straightforward but not intuitive. First you need to download and open a dedicated app for your phone or iPad (I used an iPad so I’ll just refer to that from here on in). Then, when switched on, it generates its own temporary Wi-Fi network and you connect your phone or iPad to that network using the settings. Once connected to the temporary network, the app asks which Wi-Fi network it should use normally and then it logs on, after checking for passwords. In my experience it stayed connected reliably, although the stability of its reception will depend on distance from the router. The Wi-Fi connection is to a 2.4GHz network only, which is fine for this purpose as the higher data transfer rates of a 5GHz network aren’t needed for this type of application. It’s worth noting however as the Soundstream needs to be connected to the same network as the iPad and source computer and some people set up 2.4Ghz and 5Ghz as separate networks, although this is not the default for most routers. Once connected in this way it was easy to stream music stored on the iPad or phone to the Hi-Fi. The Spotify app immediately recognised the Soundstream as a “device” and streamed audio to it quite simply. The Soundstream sounded fine over the SPDIF connection but had very low output volume and mediocre sound from the phono connectors. I also discovered after purchase that whilst the marketing materials talk about “support” for files up to 192KHz, the unit does not pass files of rates above 48kHz to the optical outputs. This makes it a non-starter for many people who have 96kHz and 192kHz files they wish to network to their existing DAC. But as a basic low cost unit for people with a separate DAC and no requirement for high data rates it could fit the bill. This setup is also capable of streaming audio from a computer to the hi-fi, controlled by the app on the iPad. But this slightly more complicated and proved one of the more frustrating stages of the journey. I'll talk more about it in the second part of my adventures!